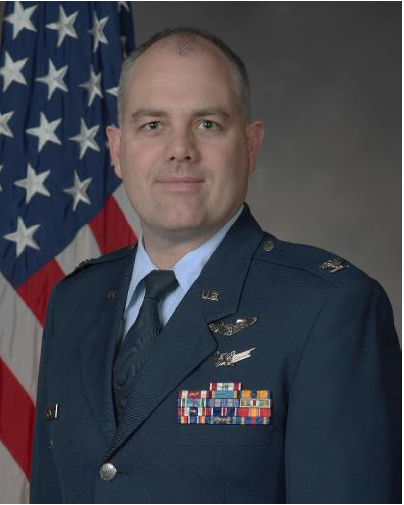 U.S. Air Force Col. Paul K. Harmer. Photo/Provided. Every semester, the University of Cincinnati’s Department of Aerospace Engineering and Engineering Mechanics hosts graduate seminars to expose its students to a wide range of career and professional opportunities. Speakers from diverse backgrounds share their experiences with new technology in their profession. On Oct. 19, the department hosted U.S. Air Force Col. Paul K. Harmer, deputy director of engineering and technical management in the Materiel Command Headquarters at Wright-Patterson Air Force Base. In this role, Harmer assists in leading the development, training, processes, procedures and tool deployment for 14,000 military and civilian scientists, technicians and engineers who ensure the technical rigor of weapons system programs totaling $60 billion. At the UC talk, Harmer discussed the Air Force’s creation of a digital enterprise. The world is undergoing a fourth industrial revolution, said Harmer, and it’s changing the way we design and build products. This revolution is based in the advancement of digital technology like cloud computing, cyber-physical systems and artificial intelligence. Digital enterprise refers to the incorporation of these technological advances into the Air Force’s operations and success. To execute this reality, the Department of Defense has implemented a digital engineering strategy that is grounded in the development, integration and use of models to inform decision making, as well as the management of data and processes. The goal is transform the culture and workforce to adapt to and support this new, connected environment. By embracing digital advances, the Air Force can transform the way they engineer weapon systems and technologies, keeping our country and our troops safer. With Wright-Patterson Air Force base only 50 miles up the road, the University of Cincinnati and its students have many opportunities to engage and collaborate with the Air Force’s cutting-edge technology. These graduate seminars provide the networking opportunities and insights to propel students into success after graduation. Featured image at top: A B-1B Lancer launches from Ellsworth Air Force Base. 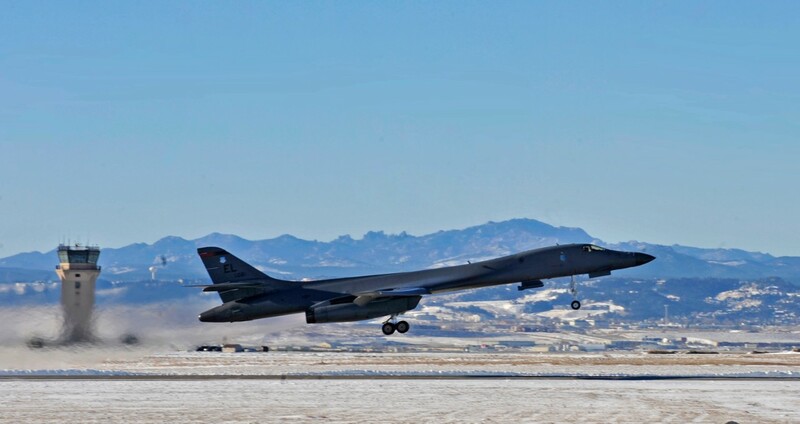 The B-1B is one of the many aircraft Harmer has performed flight test engineering on. Photo/Airman 1st Class James L. Miller/U.S. Air Force. Apply online or get more information about undergraduate enrollment by calling (513) 556-1100.